Darkwraith is a Covenant in Dark Souls. This is a hidden covenant in the game, obtained by speaking to the primordial serpent Darkstalker Kaathe in The Abyss. Through this Covenant players will be able to obtain the Red Eye Orb which is an invasion item with unlimited uses. Joining this Covenant will award you with the Dark Hand, a fist weapon with the ability to steal humanity from another player by using its strong attack. Note: Once you have defeated the Four Kings boss, you will not need to wear the Covenant of Artorias ring anymore (until NG+) to enter The Abyss. Kill Great Grey Wolf Sif and receive his ring, Covenant of Artorias, which will allow you to access The Abyss. You will have to do this even in New Game+, as the game takes away the ring upon completing the game. Do not speak to Frampt after obtaining the Lordvessel and do not place it on the firelink altar. 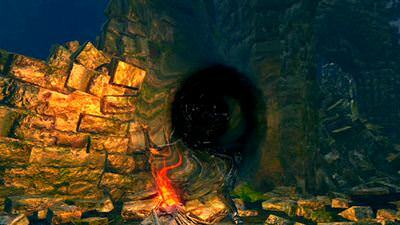 Then speak to Ingward in New Londo Ruins to receive the key to open The Abyss. After joining the covenant, Frampt will disappear. If you accidentally speak to Frampt but have not yet placed the Lordvessel, you can still use Homeward Bone, after doing so you can trade with him normally although the Lordvessel is not placed. If you wish to join the covenant before obtaining the Lordvessel, you may kill Ingward to receive the key to open the door to The Abyss. 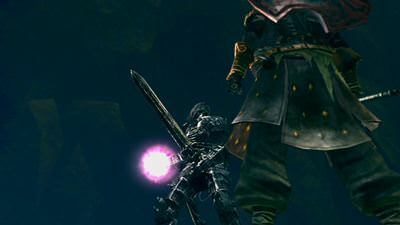 Entering The Abyss starts the battle against the Four Kings. Defeat them to proceed. Speak to Kaathe, the primordial serpent, at The Abyss. He will ask you a question: Answer YES or you won't be able to join the Darkwraiths. You will have the option to Enter Covenant. Kaathe gives you a Dark Hand (can be dropped on Darkwraith knights). You can equip it on the right hand slot and press R2/RT to do a 'humanity absorbing' attack. Amount of humanities absorbed is dependent on covenant level. This attack can be done on NPCs or online human players. Conversely, equipping it on the left hand equipment slot turns it into a 'blackhole-like' shield. Kaathe gives you a Red Eye Orb at +1 covenant level. If you fail to defeat your target when you invade, you do not lose your status as human. You do, however, drop a bloodstain that contains all the souls and humanities you had before you died, and this bloodstain will disappear if you leave another bloodstain, either by dying in your world or being defeated while invading again. But so long as you pick up the bloodstain between invasions, you will not lose anything. lf you do kill your target, he or she may put an indictment upon you. 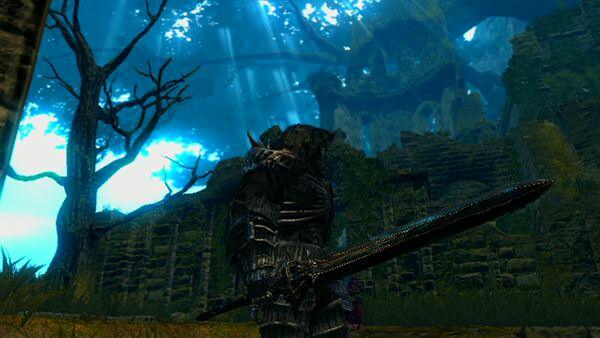 Pictures of the Dark hand and the Dark Armor & sword. Click image to make it popup larger. Each humanity turned in nets you a point towards your next rank. Purchase Cracked Red Eye Orbs. You can only invade people whose soul level is higher or equal to yours, or at max 10% lower than yours. The Darkwraith covenant is the forebear of The Brotherhood of Blood (DS2) and Rosaria's Fingers (DS3). Is he the Red Eye Orb carried out to NG+? All right, who keeps adding the "Some believe Darkwraiths to be revolutionaries, defenders of the human race" line to all the darkwraith related pages. I&apos;m all for speculation but this is taking a "The Nazi&apos;s were good guys all along." approach to something with no basis or supporting evidence. So I cannot join the Covenant anymore after talking to Frampt with the lordvessel, can I? So I cannot get the Armour Set for this complete run? I got the red eye orb but not the armor set and I have him 30 humanity still nothing any ideas? On step 4 of how to join the covenant it says if you answer "No" you will not be able to join but you still can, you just have to let him take you to the lord vessel alter and and use a homeward bone or die and fall back down to the abyss where you fight the four kings and talk to him then he will let you join. Apparently you can&apos;t offer more than 100 humanity. After offering 100 I got a message that said "Cannot offer more. Well done." Note: The Wiki is wrong in regards to the amount of humanity you steal. Getting to +3 rank does increase the number of humanity you get from lifedrain, BUT each NPC has only a set number of humanity to steal/drain. For example, Griggs of Vinheim only has 3 humanity, while solaire has 5. Big Hat Logan has none even though he appears in human form. If you use it in PvP I recommend combining it with Tranquil Walk of Peace. So I’m playing the remaster and have given him over 30 humanity but I haven’t gotten anything, is there a reason why? I approached and spoke to Kaathe as a princess guard and he didn&apos;t run for it. So that bug is fixed as far as the remaster is concerned. Today I was a princess&apos;s guard that went and killed the four kings and talked to Kaathe and deposited the lordvessel Kaathe is still here and I&apos;m now a darkwraith.